It’s almost Easter! That means many little ones are already completely hyped up, waiting for the arrival of the cotton-tailed candy monster! Easter is an exciting time for kiddos, and a great time for families to spend time with one another, catch up, and reconnect. But, like most holidays and long weekends, Easter often means a change in routine, long days of travel, and an overall disruption to the regular weekend flow of your family’s proper rest. Here are my top tips for keeping sleep on track this weekend. 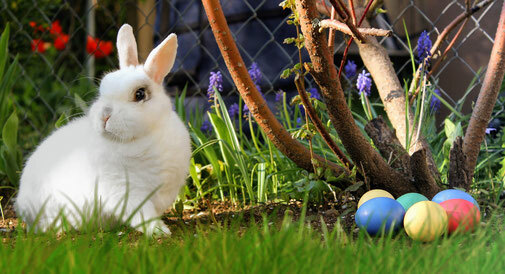 Many families travel during the Easter long weekend, and are often staying in either hotels or at relatives’ homes. It’s important for children when away from home that they feel a sense of familiarity and comfort in order to be able to fall asleep more easily and rest more peacefully. So, bring along the items from your child’s sleep space that make her feel safe and at ease – perhaps a special comfort object, sleep bag or blanket, her usual pillow, and a couple of familiar books. This should help bedtime be a little easier in an unusual or unfamiliar environment. Easter is, in a word, hectic. Family dinners, playtime with rarely-seen cousins, and rushing here and there to various functions. To help avoid your child becoming incredibly overtired and overstimulated during this busy weekend, try to build in some down time throughout the day and near bedtime. This could mean building 10-15 minutes extra into your child’s bedtime routine, so there is some more time for quiet books or talking about the day; and also some quiet time to draw or colour or play a quiet game with mom or dad in the middle of the day. I know, I know, sugar is an inherent part of many families’ Easter weekends. From candy-coated eggs to solid chocolate bunnies, there are plenty of opportunities for your own little bunny to get hopped up on sugar! But, try to scale it back as much as you can during the day, and really avoid it as bedtime approaches. I suggest cutting sugar off by early-to-mid afternoon to help your child wind down more easily at bedtime. Babies and toddlers LOVE routines; it’s as simple as that. They thrive on predictability and very much prefer to know what is coming up, as opposed to being surprised with changes to their schedules. So, when you are managing a hectic weekend or staying at someone else’s home, routines are even more important in helping your child feel safe and have a semblance of normalcy. Don’t skip your child’s usual bedtime routine, even if feeling rushed to get him to bed. A quick bath, PJs, a book and a song will help your child to wind down much more easily than going straight from a late Easter dinner into his bed. I.e. of course you are going to break some of the sleep rules this weekend, but try not to break all of them! 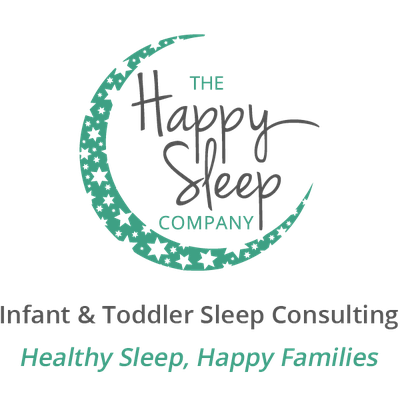 If your baby is still on a two-nap schedule, try to ensure at least the morning nap happens at home (or wherever you are staying for the weekend) in her crib each day, to set a great, refreshed tone for the whole day. Then, if the second nap is on the go (in the car, for example), your child won’t be quite so overtired by the end of the day. If your child is still on one nap per day, really try to ensure this happens, even if you are at someone else’s home; again, take some of his familiar comforts of home (including a Pack & Play, if your child still sleeps in a crib) and have him nap at friends’ or families’ homes to ensure he can get through the day without becoming very overtired, which often results in a less enjoyable day for everyone! And, of course, try to respect bedtimes whenever possible. It is inevitable that there will be at least one night where bedtime runs late, due to family obligations and events beyond your control. However, try to not make every night of the long weekend a late bedtime, to help your child get the proper rest he needs and enjoy this fun-filled weekend to the fullest!